Ever wondered what to do with those unripe baby green figs, so did we! Well that is until, we found this wonderful recipe from a Greek food blog called, Mama's Taverna. 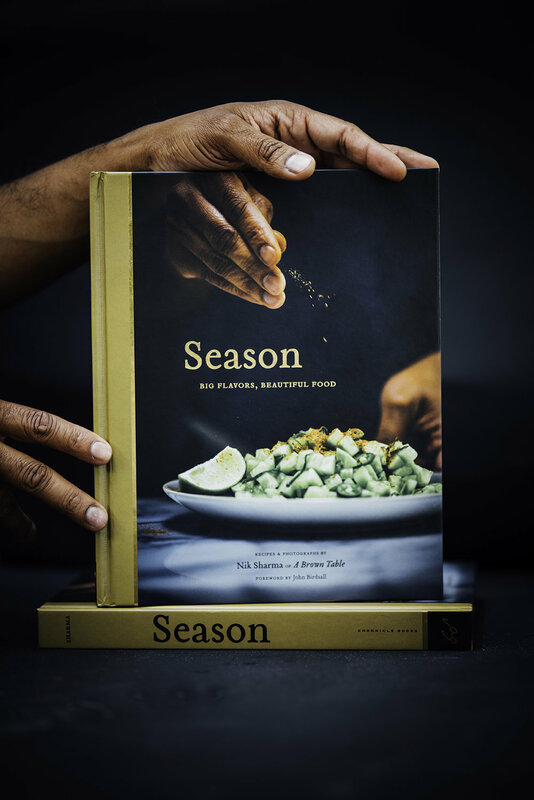 One of the things, I really love about having this food blog and now participating in this supper club, is the opportunity to not only share my work but also getting to learn from other people who love food as much as I do. Food blogs, cookbooks, magazines and the likes all provide an avenue for us to experiment and try out new things, probably some of them we would never have heard of otherwise or even got the chance to try. 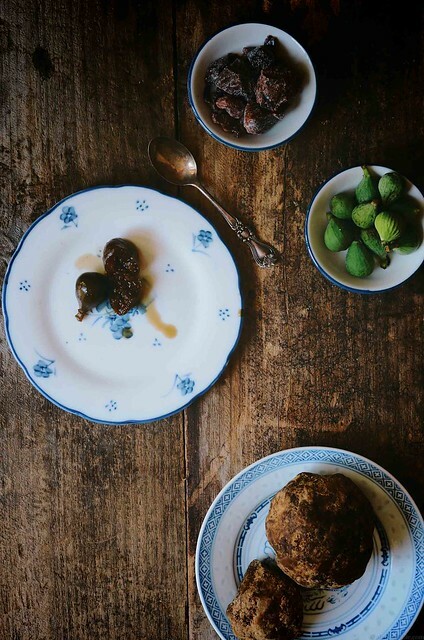 Alanna and Phi picked up tons of green figs for our supper club and we decided on a couple of recipes to see if these figs could be used. One of the recipes that stood out was this baby fig spoon sweet or Sikalaki Gliko. To be honest, it is a little time consuming because of the prep work required to soften the unripe figs and I was a little nervous about whether this would work. But no need to worry, it does! 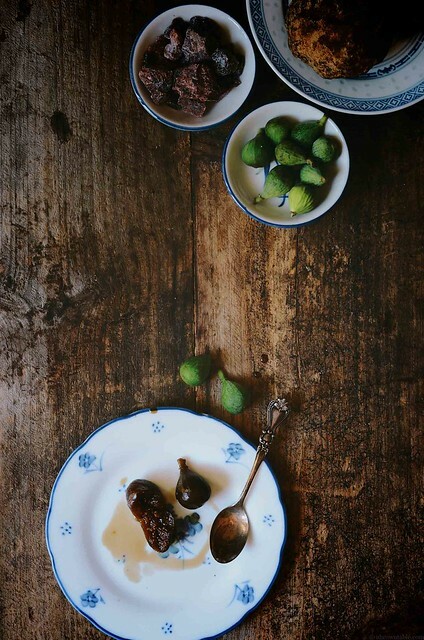 You need to boil the figs several times to get rid of the latex that is inside the ovule, once that is done, the figs soften and become tender and will absorb the flavors of the soaking syrup. So here is one of the dishes that we will be serving up tonight among a host of other fig containing plates, an Indian inspired Greek fig spoon sweet. Sikalai Gliko on Gluten-Free Crackers with Dukkah A greek method of cooking and preserving unripened baby figs – served on crunchy crackers baked with dukkah, an Egyptian spice blend of nuts, herbs, and savory spices. Shaved Apples and Fennel with Fig and Pomegranate Salad … and topped with fresh fig and pink pomegranate arils. Fig Tagine with Defrosted Grapes Served with herby couscous. Fig & Pumpkin Samosa “Pot Pie” Served with Hot Date & Tamarind Sauce, Unripened Fig Chutney. Olive Oil Ice Cream with Fig Syrup Swirl Served with crispy fig chips and toasted pistachios. Double Chocolate Figs Fresh figs stuffed with brandy ganache, then, dipped in chocolate. Use a stainless steel cooking pot that is cheap, one that you're not too attached to. Raw figs release a lot of latex while boiling. The latex will stick to the sides of the pot, so I recommend wiping it with a clean paper towel immediately after each boil is complete. Drain the liquid and the figs into a large colander and then wipe the sides with paper. You will still have to scrub the sides after the entire process is complete, so avoid using non-stick pots. Jaggery is raw Indian sugar, it has a slight smoky flavor and a very unique taste that I love. However, you can substitute brown sugar with the same amount or even do a half and half mixture of both. Indian black salt or "kala namak" is also called the Black Himalayan Salt has a distinct dark pink color, it has an interesting fragrance due to the sulfur trapped inside it which is released once the salt is mixed into liquids. I use it quite a bit when I cook and it is definitely a great seasoning to keep in the pantry. 1. Wash the figs thoroughly to remove any material that might be stuck on the skin. Poke a hole all the way through each unripe fig using a skewer (metal or bamboo). 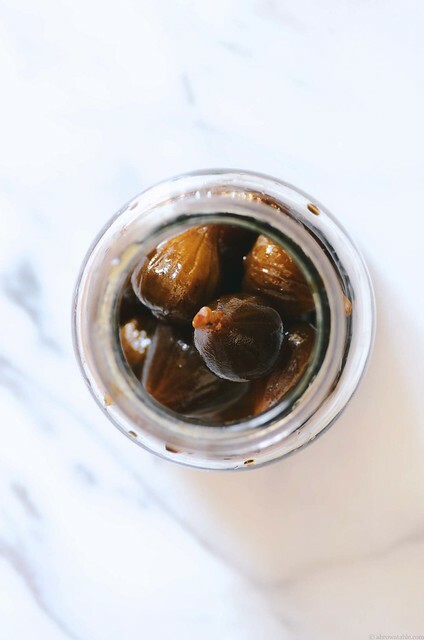 Place the figs in a large and deep stainless steel stockpot and cover with running cold tap water until there is an inch of water over the fruit. Bring the contents of the pot to a boil and then boil for 15 minutes. Drain and discard the liquid in a colander. Rinse the figs in water and wipe the stockpot to remove any latex foam that might be bound on the sides. Allow the figs to cool to room temperature and then repeat this process two more times. 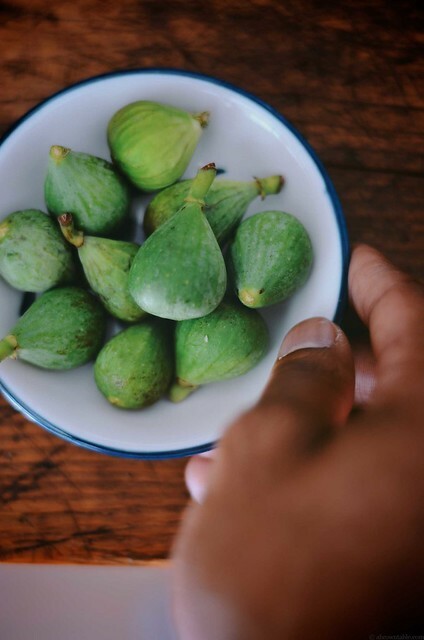 The figs will be soft and tender once prepared. Drain and keep aside to cool. 2. In a separate medium sized stockpot, add the 2 cups of water, cloves, jaggery and himalayan black salt. Heat on a medium-high flame and bring to a boil, boil this to form a syrup for about 20 minutes. Watch and stir occasionally to prevent the liquid from overflowing. Once the syrup is formed, add the prepared figs. Boil the figs in the syrup for another 15 minutes, remove the figs and then strain the liquid through a cheese cloth lined over a colander. Add the figs back to the strained syrup and then allow to sit overnight in the refrigerator. The figs will absorb all the flavors and will be sweet and flavored. Serve as needed.